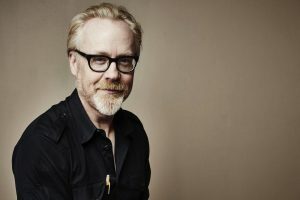 Adam Savage is currently the host of two new Discovery Channel shows: MythBusters Jr. and is currently shooting his soon-to-premiere new solo series. He also produces and stars on Tested.com’s YouTube channel (over 2 million subscribers). He was the co-host and Executive Producer of the hit show MythBusters on the Discovery Channel from its inception through its end, spanning 14 years and nearly 270 hours of television. He lives in San Francisco with his wife, twin boys, and their two amazing dogs. Every Tool’s A Hammer is his first book. 335 Madison Ave., 3rd Fl.